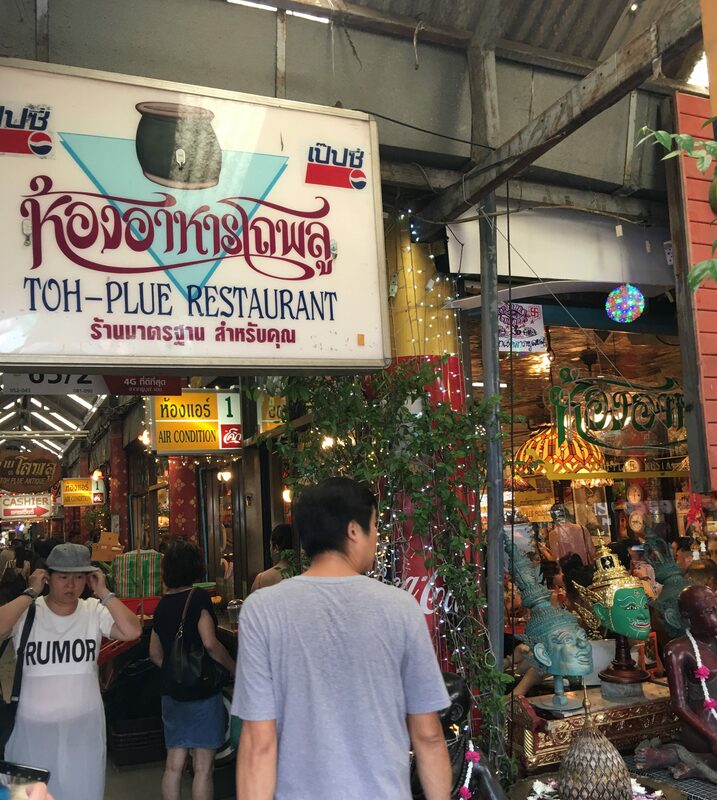 I was turned on to Toh Plue, a small air conditioned restaurant at the Chatuchak Market. 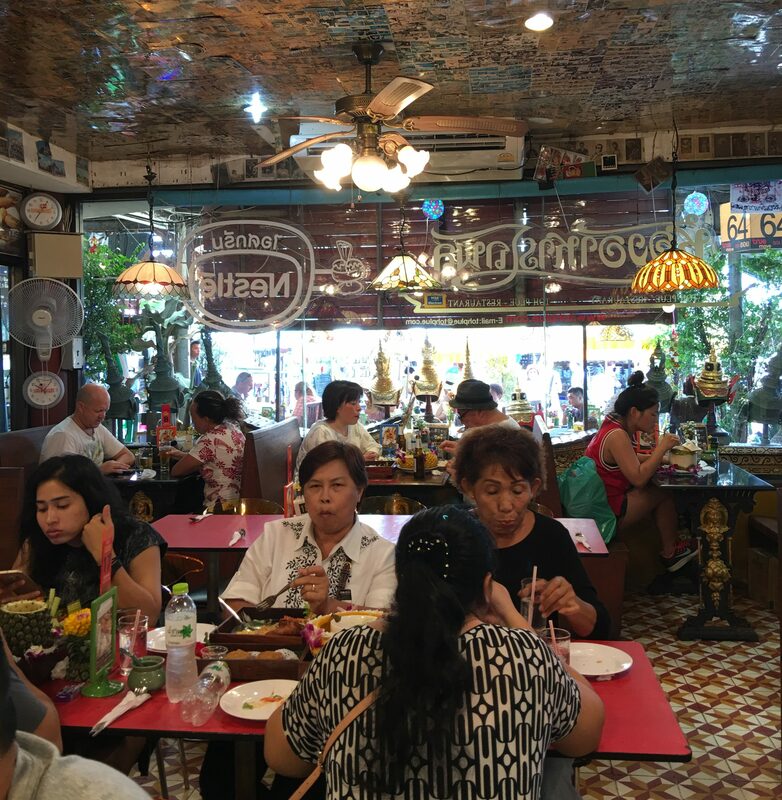 I was told the food is good and it’s a good rest from the heat and humidity and craziness of the shopping. The inside is pretty cramped and you have to scramble for a seat during peak hours. 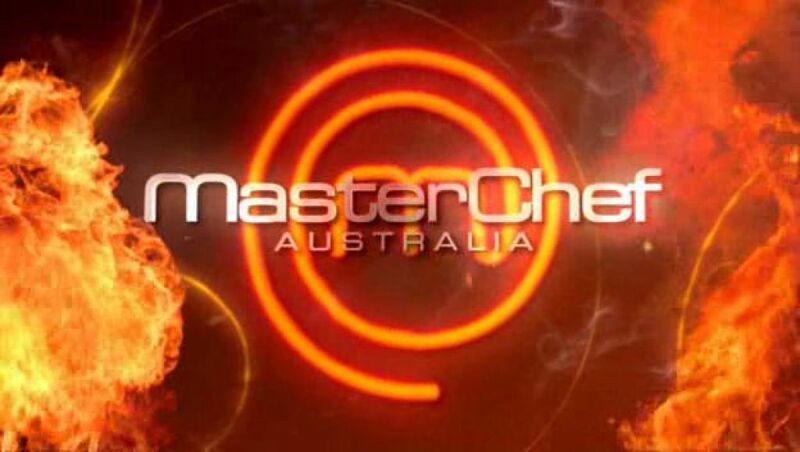 Luckily there is a host that will help. But be prepared to be a little tight. Honestly, while the booths are nice, they are more cramped than the tables in the middle. 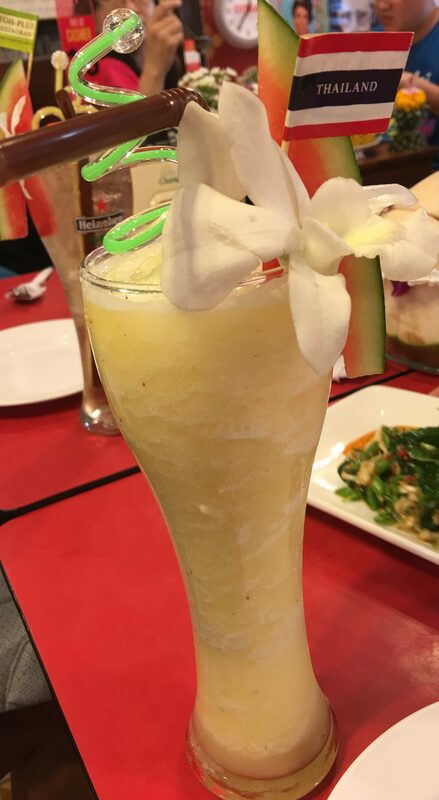 The drinks are cute, here is a Pineapple Freeze. 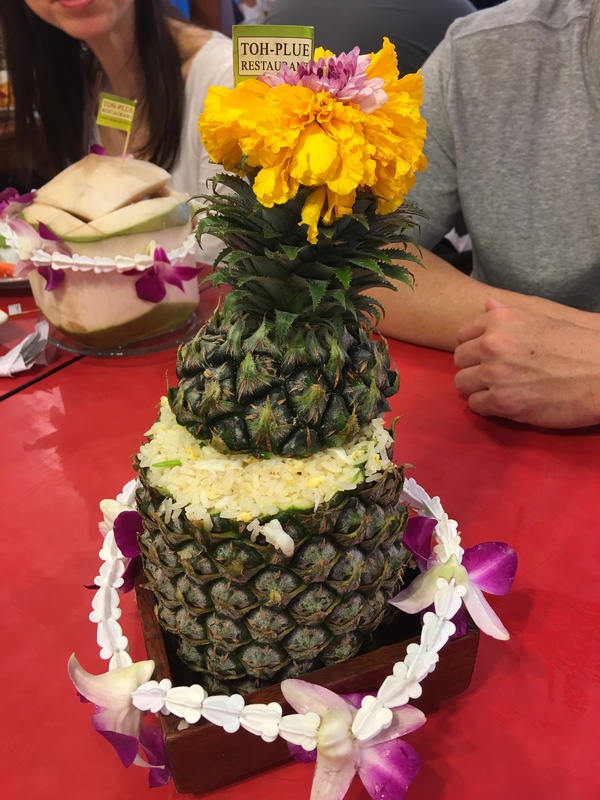 The Fried Rice comes in a Pineapple, and this is not Pineapple Fried Rice, but it is Crab Meat Fried Rice. 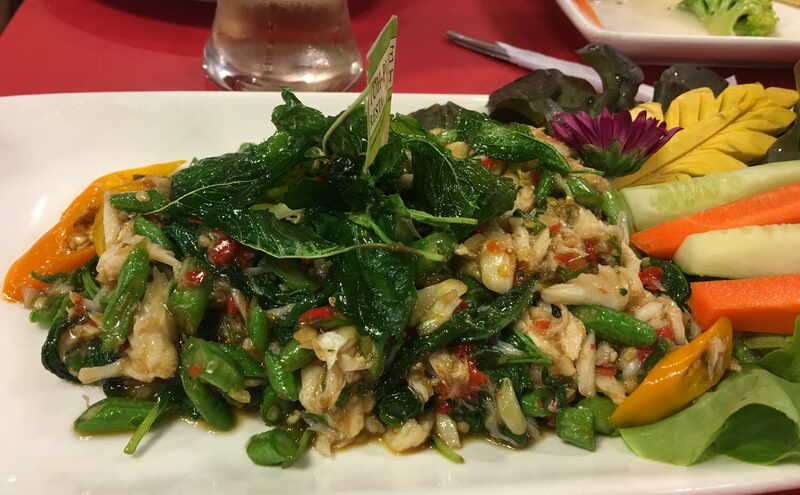 Crab Meat with Basil. This is pretty awesome. They add some chilis and green beans, but the flavor is there and it’s great. A winner! 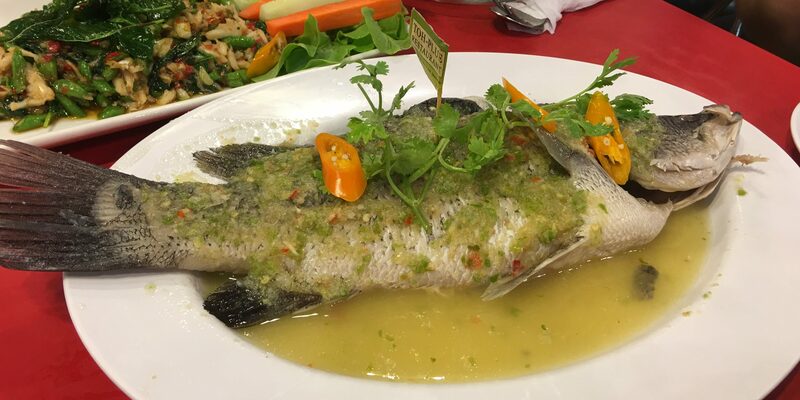 And then there is this – Steamed Sea Bass with Chili and Lime. Wow, the broth is amazing and the fish is so fresh. Just an outstanding dish. I need to try to recreate the broth on this. 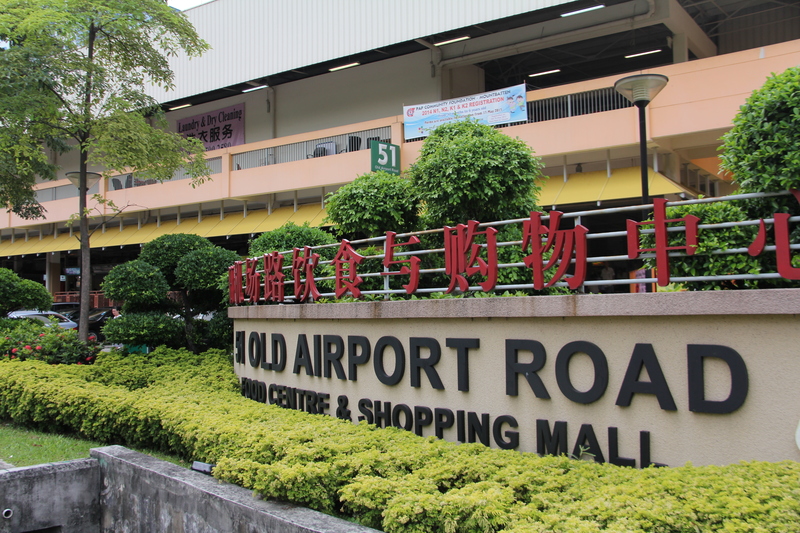 A good rest stop at a busy and hot market. Go for it! Posted in Bangkok, Crab, Fish, ThaiTagged Bangkok, Crab, Fish, ThailandBookmark the permalink.